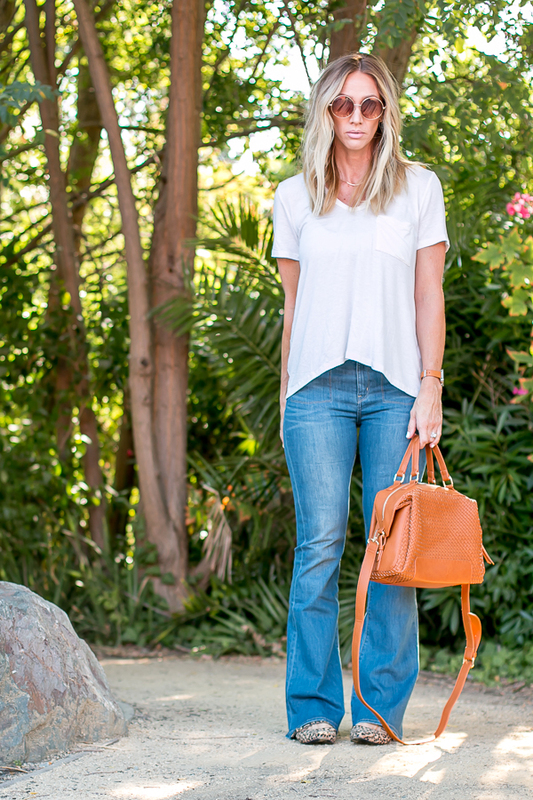 I love a simple outfit composed of basics that you know will come in handy for the next few seasons. 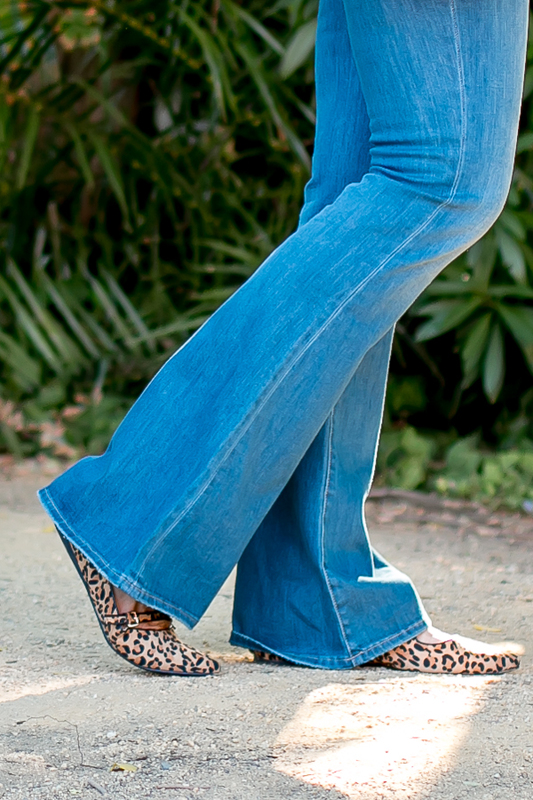 These flare jeans are currently my favorite pair of denim that I own (I know, I say that a lot!). They are super soft, high-waisted, comfortably stretchy and long enough for us tall people and with the price point (under $60 on sale!!) I could not be more thrilled. Best part, ALL sizes are in stock. 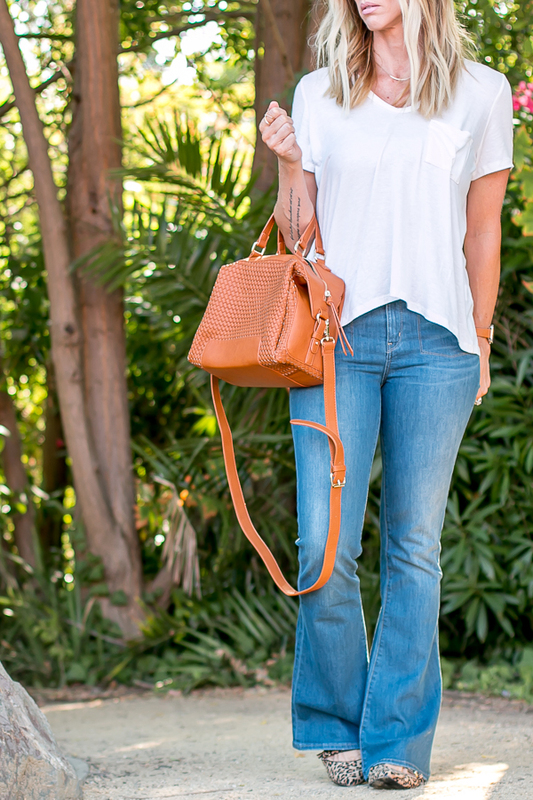 I bought this tee in three colors and it gives the jeans a run for their money in soft cotton. 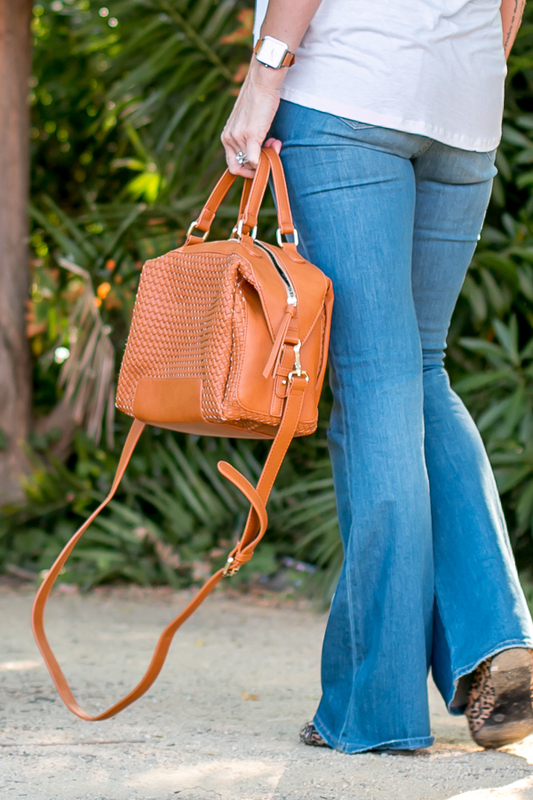 And I have already welcomed you to my new favorite shoes here and how cute are they with flare jeans as well?! 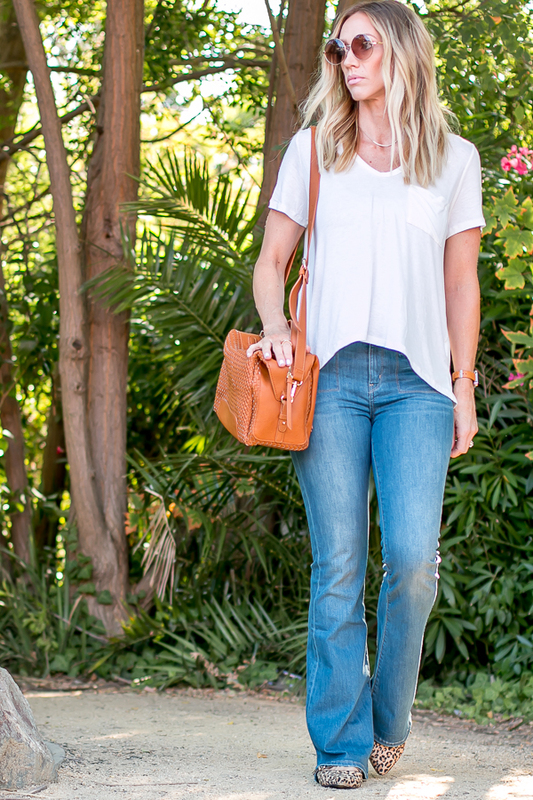 This is a super simple outfit to transition from Summer right into Fall. All I would do once the weather starts to cool is add a scarf with the tee, this sweater, or this amazing moto jacket. Fabulous outfit! I like your sunglasses. I bought some recently like that from F21.